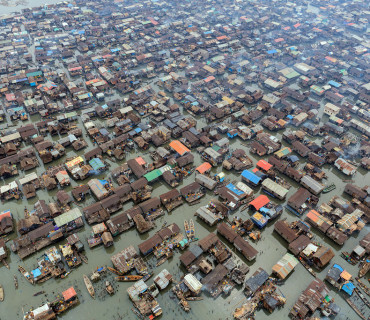 The country of Nigeria is located in the crook of Africa’s west coast, sandwiched between Benin and Cameroon. Its coast lies on the Gulf of Guinea in the Atlantic Ocean. 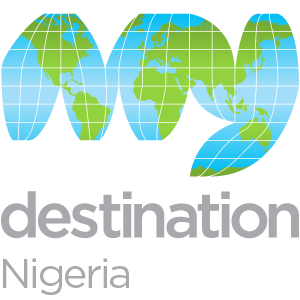 There are over 500 ethnic groups in the country, leading to a wide range of annual festivals and celebrations. Many of the celebrations last for weeks or longer and are made up of colourful dances, processions and hearty competitions. The main religions of the country are Muslim in the north and Christianity, predominantly in the south. 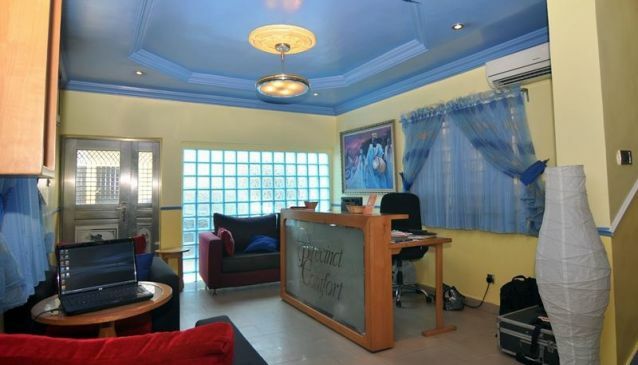 Therefore, Nigeria celebrates everything from Ramadan to Christmas. 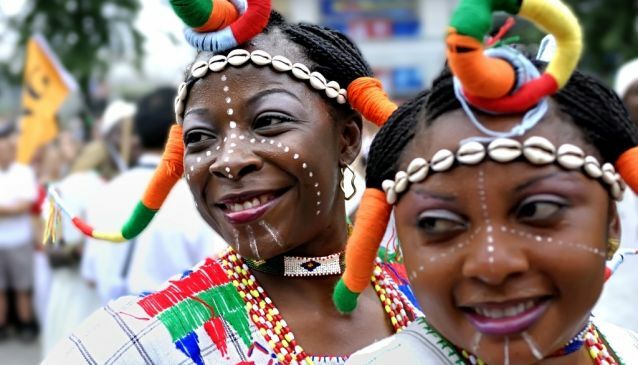 Known as the ‘Giant of Africa’, comprising of 36 states, Nigeria is Africa’s most populous country which is also home to exciting and cultural festivals. 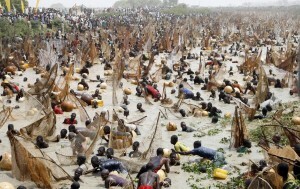 A very popular and famous festival in Nigeria is the four day Argungu Fishing Festival which started in 1934. 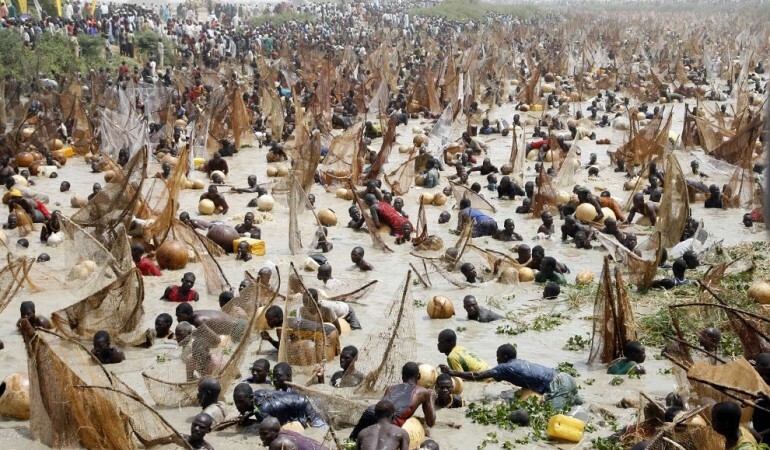 Imagine hundreds of men lining up along the river bank, armed only with their fishing nets. At the sound of a gun, everyone piles into the muddy water, leaving no inch uncovered of the Matan Fada River in competition to catch the biggest fish. 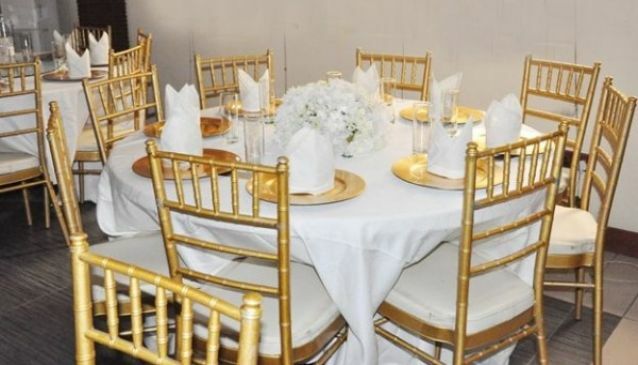 As a male only event, the audiences are predominantly male too, where state and federal government officials attend. Imagine. 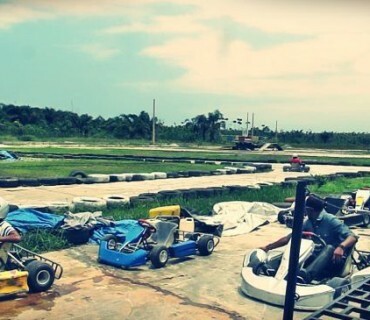 The competitors have only one hour in which to search the narrow murky waters of the river to win the prize of a new bus and one million naira (£4,000). After the hour is up, the fish are carried to scales for the all-important tense weigh in. 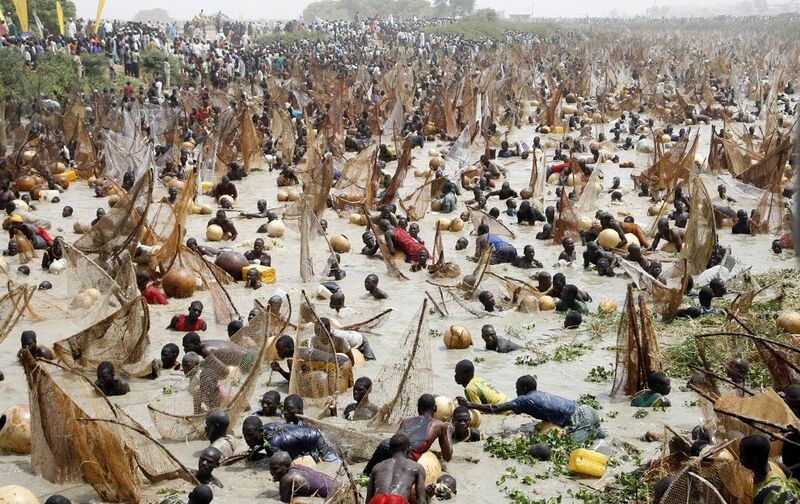 The competition is the final day’s events of the four day cultural Argungu Fishing Festival, held in the north western state of Kebbi. 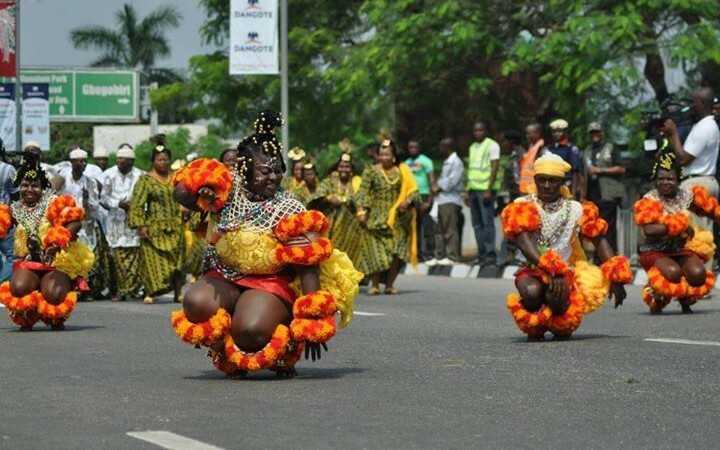 Calabar Carnival, often dubbed ‘Africa’s biggest street party’ in the state of Cross River, in south Nigeria started in 2004. 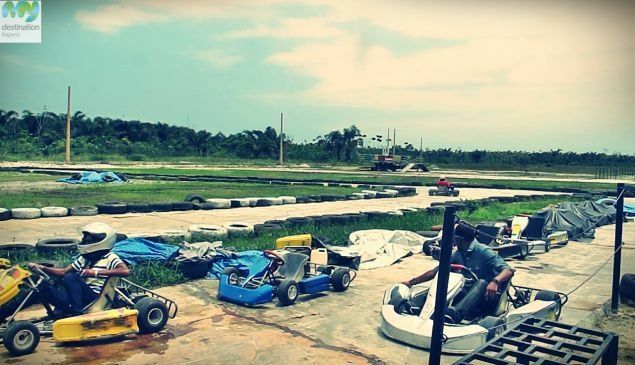 The festival started in order to make the Cross River State one of the country’s top tourist destinations. It happens as the end of the month long Calabar Festival (during the month of December), which celebrates local culture and heritage. Much like the king of all carnivals in Rio de Janiero, dancers adorn huge brightly coloured costumes with feather headdresses and dance down the streets to music, all 50,000 of them. The event draws in two million spectators but for those that can’t make it you can watch the events unfold on the small screen as it’s broadcast on TV. 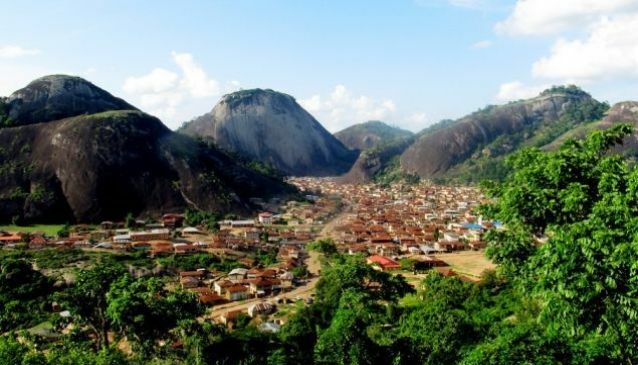 As the end of the rainy season approaches in August, the Osun festival is held. In the state of Osun, inside Oshogbo Scared Forest, the festival is a week-long event and held to honour the river goddess Oshun. 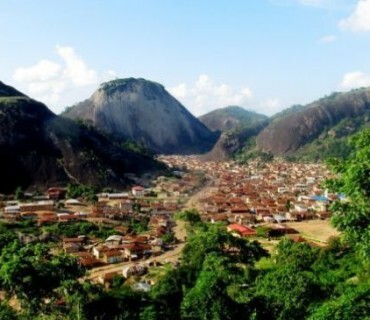 Thousands of people attend the festival, where the whole of the riverside is dotted with shrines and sculptures for Osun. 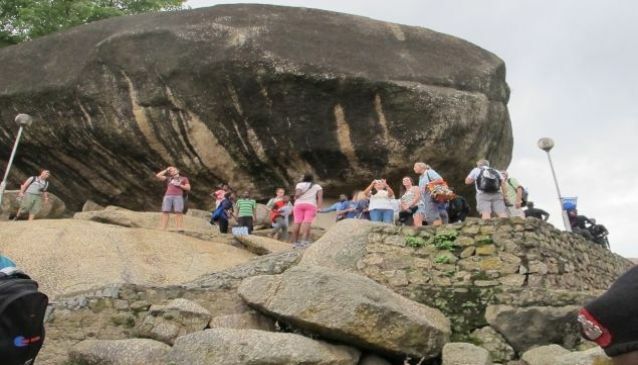 The forest it is celebrated in is actually a World Heritage Site as it is one of the last primary high forests in southern Nigeria. 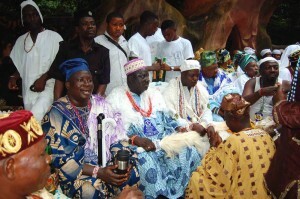 Sharo Festival is a testament to a young nomadic Jafun Fulani and man’s endurance and manhood. If the men pass, they are eligible to marry, with the scars of their braveness sunken upon their skin. Escorted by girls, men are led into a ring, surrounded by spectators only armed with a whip and bare chested. They are encouraged to not flinch or show pain whilst they are being flogged; drum music increases in tempo as does the flogging. 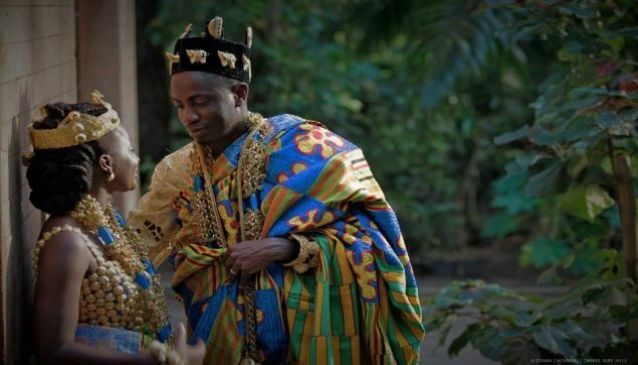 This is the main event of the festival that usually lasts a week and happens twice a year – once in the dry season guinea corn harvest and the other during the Muslim festival of ld-el-kabir. Other events are more upbeat with singing and dancing. 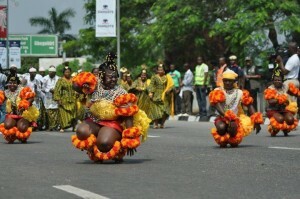 Unique to Lagos is the Eyo Festival, today it is a tourist event, but its roots date back to 1854 where it’s traditionally performed on Lagos Island. 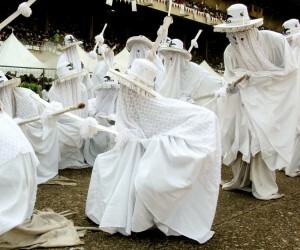 The word ‘Eyo’ refers to the costumed dancers, known as masquerades. Covered in a white sheet from head to toe, they are entirely clothed in white with a brightly coloured hat and hold a long bamboo pole covered in white and red pom poms. 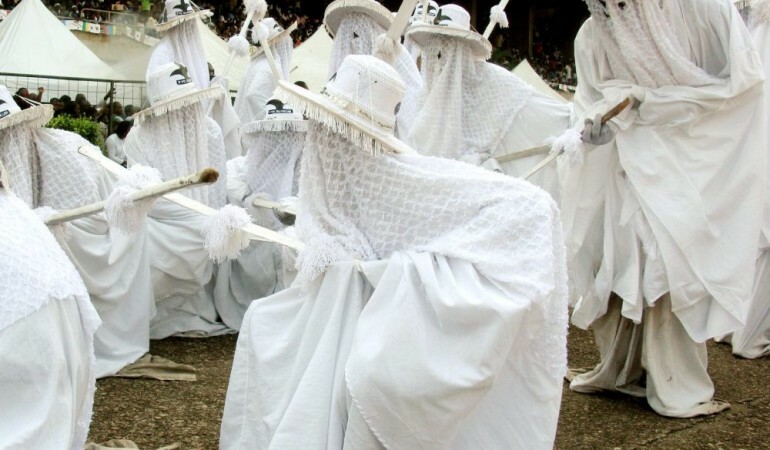 The masquerades perform a play, representing spirits of the dead. On Eyo day roads are closured where the procession parades and spectators take off their shoes as a sign of respect. 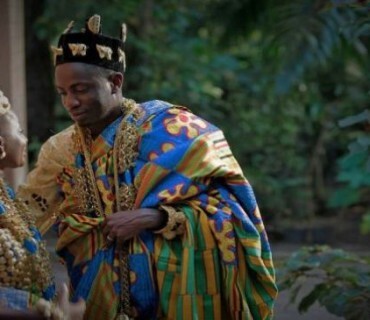 It takes place whenever occasion and tradition demand, such as the final celebrations when a highly regarded chief is buried. The festival moves to the beat of drums and traditional dancing. 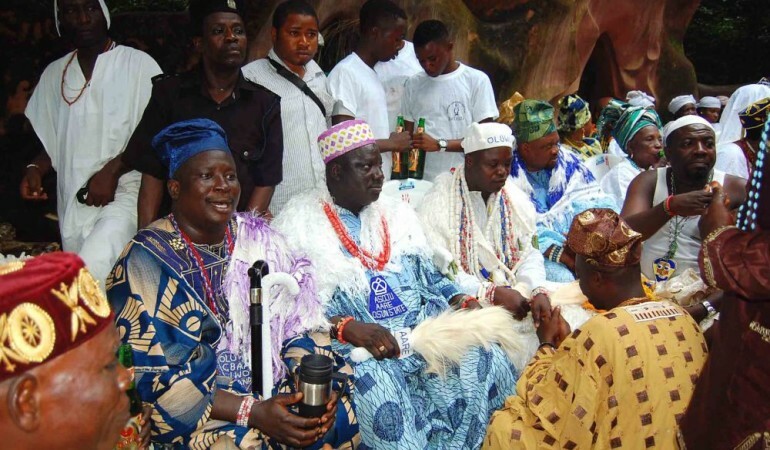 Another festival held around the month of August is the Yam Festival. Yams are a very popular vegetable in Nigeria and make up part of the staple diet, which is also known as ikeji in Nigeria. To celebrate, dancers wear masks reflecting the seasons and other aspects of nature. Yams are the first crops of the season to be harvested, and are often offered to gods to give thanks for them. 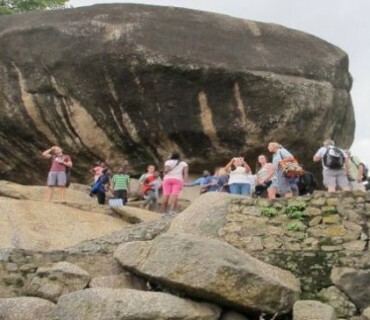 The festival is a celebration of good crops, and no famine, which is obviously important for survival in Nigeria.